Speaker cables come in all shapes, sizes and prices. This Magnan Signature Speaker cable is a single 4½-in wide X 7-ft long ribbon. The loudspeaker cable has only one purpose, which is to convey an electrical signal from a power amplifier to a loudspeaker. As it is part of the signal chain, then in principle any potential signal degradation it might cause needs to be considered. In practice there are very few problems. Loudspeakers have a nominal impedance figure, commonly 8 Ohms, but this is a simplification of the reality which is an impedance function that varies with frequency, often quite considerably. Amplifiers are often intended to work with speakers of certain impedance, and some vacuum tube amplifiers may have switches or links that set them to work with a range of load impedances. One of the most fundamental principles of electronics is that of impedance matching, which states that the greatest power is transferred when the source impedance matches the load impedance. Those who are familiar with analog video will know the importance of using sources, cables, connectors and loads with the correct impedance and of installing a terminator at the end of a chain of loads to prevent reflections or ghosting. Digital video signals are transmitted in the same way, except that chaining is not possible and the correct termination is built in to the equipment. One of the greatest misconceptions about audio is that something similar needs to be done with loudspeakers. The truth is that the principles adopted with video simply do not apply and are not used in audio. Figure 1. The video cable is driven by a source having fixed output impedance, through connectors and cable having matched impedance, to a receiver having the same impedance. The time taken for the signal to traverse the cable is greater than the time between events in the signal. In contrast the audio amplifier has near-zero output impedance, the speaker has variable impedance and any old connector are used. The time taken to traverse the cable is negligible compared to the time between events in the signal. There is no similarity at all between the two approaches. Figure 1 contrasts the approach of analog or digital video with the approach used in analog audio. It will be seen that in analog audio, no attempt is made to achieve impedance matching. The output impedance of an audio device, be it a power amplifier or a distribution amplifier, is practically zero. The input impedance of an electronic line receiver is typically several thousand Ohms and several such loads can be connected in parallel to the same line. The input impedance of a loudspeaker is variable. There is no terminator, and no attempt is made to control the impedance of the cable. No attempt is made to use connectors of specified impedance, and anything from a barrier strip to a banana plug works equally well. So why are such different approaches used? There are several answers which are not alternatives: they are all true. A loudspeaker has moving parts whose characteristics are reflected into the electrical domain by the moving coil. The peak in the impedance curve reflects the fundamental mechanical resonance of the diaphragm. A resonance like that needs to be controlled, otherwise the frequency response would contain a huge peak. The solution universally used is to damp the fundamental resonance using an amplifier with a very low, ideally zero, output impedance. Once this is done the loudspeaker is voltage driven. The current it takes reflects the difference between the applied voltage and the back EMF of the motor. Over most of the frequency range, the back EMF is less and the motor draws power. At resonance the diaphragm amplitude tries to increase, but once the back EMF exceeds the applied voltage, the current reverses and the amplifier is slowing the motor down. The loudspeaker is damped by the amplifier. This Tellurium Q Silver Diamond speaker cable lists at £895.80 ($1200) per metre and with interconnects costs £2292 ($3178) for a 1 metre pair (XLR). Source: Tellurium Q. 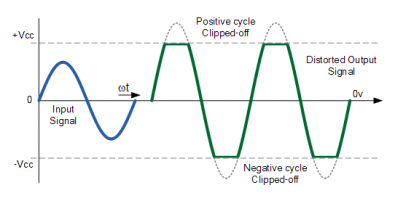 Another reason is that amplifiers with negligible output impedance are a direct consequence of using negative feedback, whereby the output is compared with the input and any difference is amplified to correct the error. With sufficient gain the error can be made negligible and the amplifier can be very accurate. Such amplifiers can drive loads having varying impedance, such as loudspeakers, without any problem. Regrettably, there are some who believe that negative feedback is a bad thing in audio amplifiers, or even per se. They expound their beliefs and then drive off in cars whose power steering and brakes rely totally on negative feedback. They travel in airliners that contain more nested feedback loops than you can shake a stick at. Hypocrisy follows hard on the heels of beliefs. The final reason is that the electrical wavelength of audio frequencies is so large that any delay due to the finite speed of the signal in the wiring is negligible in audio installations. The highest frequency of interest in audio is 20kHz and the wavelength of a 20kHz signal in a wire is about nine miles. So if our audio installation is smaller than that, we can forget about relativistic effects. Any delay can be neglected and effectively the voltage at the speaker terminals will change at the same time as the voltage at the amplifier terminals. In contrast, an SDI signal runs at 270MHz, and each cycle carries two bits. The length of one bit is then about 18 inches and it is easy to see that in a typical cable there are bits that have been sent but not yet received. Clearly if we move to HD, the number of bits stacked up in the cable rises. It is easy to see that we cannot ignore the time taken for video signals to travel along the video cable. The output waveform of the cable is not the same as the input waveform. The fundamental difference between speaker cables and video cables is that the latter are, and need to be, transmission lines whereas the former are not and cannot be. Many of the misconceptions about loudspeaker cables stem from people who believe they are transmission lines when they are not. 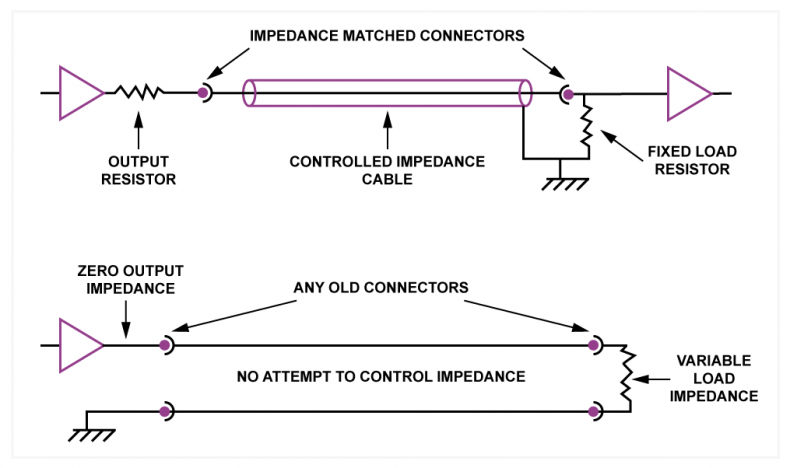 Impedance matching in loudspeakers, amplifiers and cables does not happen. As most engineers know, drive any amplifier sufficiently hard and the output signal will clip. So why do vacuum tube amplifiers have impedance selectors? The answer is very simple. As the amplifier uses negative feedback and has negligible output impedance, for small signals it doesn’t care in the slightest what the load impedance is. If the volume control is advanced, at some point the capability of the amplifier, or to be precise, the power supply will be exceeded. With a high impedance load, the amplifier will clip when it can’t provide any higher voltage. With a low impedance load the amplifier will clip when it can’t provide any greater current. An impedance selector simply changes the ratio of the transformer in a tube amplifier to delay clipping for a given load. Semiconductor amplifiers have no need for such selectors. There is no output transformer. A length of loudspeaker cable, disconnected at both ends, can be measured to find its characteristic impedance. It’s a complete waste of time because the impedance of the cable will always be higher than that of either the speaker or the amplifier. The impedance the speaker sees is essentially zero, which is the output impedance of the amplifier. So we can see that the main criterion a loudspeaker cable needs to meet is that the DC resistance should be sufficiently low that the damping of the fundamental resonance is not compromised. The best the damping can ever be is with the speaker terminals shorted and the current limited by the coil resistance alone. As the DC resistance of the coil is several Ohms, a fraction of an Ohm in the cables won’t make a lot of difference. Some people believe that oxygen free copper (OFC) wires sound better. The only problem is that I have never seen an explanation of why that might be that bears any relation to the laws of physics or materials science as they are generally accepted. I have seen claims, not explanations, that OFC improves the phase linearity of the signal transmission. Oddly, the most vehement claims come from those who sell OFC speaker wires. A Furutech NanoFlux speaker cable, 2.5m in length has a list price of £ 4,995 ($6900) per pair. The company’s specialized manufacturing process begins with Furutech’s Alpha-OCC conductor which, after undergoing a patented two-step cryogenic freeze and demagnetization process, is treated with Furutech’s “finely-tuned transmission enhancer, Nano Liquid”. Nano Liquid features a precise ratio of tiny gold and silver particles (approximately 8 nano-meters or 8/1,000,000th of a millimetre in diameter) that finely coat the conductor, filling up and smoothing out any microscopic concave-convex areas left on the conductor’s surface during the production process, and thus providing a greater contact surface. The precise mix of gold and silver super-micro particles and amount of dispersing Squalene oil used on the conductor has great influence on the sound reproduction, and Furutech’s engineers settled on their exact ratio of gold to silver particles after careful audition of countless test samples. The resulting “tuned” cable offers superb overall balance of qualities. Source: From the Furutech website. If there was a perceptible difference in phase linearity at audio frequency, then it would be massive at HDTV frequencies, yet there seems to be no problem there, where phase linearity is measured regularly. Legacy loudspeakers are anything but phase-linear and, on top of the massive timing errors they exhibit, anything the cable can do is insignificant. I never know whether to be amused or depressed when I see hi-fi installations that have speaker wires of unbelievably large cross section. These colossal cables are invariably connected to passive speakers inside which there will be an inductor in series with the woofer to prevent high frequencies reaching it. The DC resistance of that inductor renders the negligible resistance of these welding cables completely irrelevant. At DC, the conduction mechanism is one of electron drift due to potential difference. The only factor affecting the DC resistance is the material, usually copper, and the cross section. Typically copper conductors are divided into a number of parallel strands which makes them easier to roll up. As frequency rises, conduction takes place increasingly in the surface of a conductor, the so called skin effect. However, stranding the conductor has the effect of increasing the surface area so that, with typical strand diameters, skin effect has no relevance at audio frequencies. The material with which the conductor is insulated is irrelevant at audio frequencies, provided it protects the conductor and doesn’t react with it. Mylar can be used, or linen hand woven by Peruvian virgins and it won’t make a scrap of difference to the sound. Something that allows the copper to corrode might. In a sense, all of the debate about loudspeaker cables and the extent to which they contribute to sound quality are primarily of historical interest. All loudspeakers with any valid claim to accuracy are active and when the amplifiers are in or immediately adjacent to the speaker the characteristics of the speaker cables are simply unimportant. Editor note: John Watkinson's entire series on loudspeaker technology can be located from The Broadcast Bridge home page. Search for "John Watkinson". His other articles also will be listed. 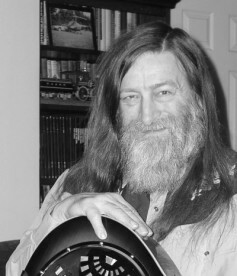 Mr. Watkinson is author of more than 20 books on audio and video technology and television transmission systems with a recent book on helicopters. His works are available from major booksellers. I agree with you on the technical silliness associated some of the ridiculously priced tweak hi-fi cable products out there. But at more modest low end cable constructions there can be clear audible differences that one might not think would make sense. We did a simple shop experiment once comparing a #12 30 strand twisted pair commercial array speaker cable with a #12 230 strand parallel construction Monster cable, at the time cost was about 12 cents/foot for the commercial cable vs about three times that for the monster cable. 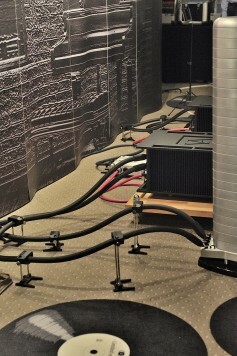 Ten foot lengths to two low cost commercial Atlas wall mount co-axial box speakers off of the same amplifier. There was a clearly audible difference in favor of the Monster cable between the two. Noticeably better clarity in the high frequencies and a more coherent quality to midrange vocals. Mind you this was using commercial grade components that would not remotely be considered hi-fi. I expect this was due to poor ultra-sonic harmonic performance of the commercial cable modulating audible frequencies. There was significant difference in 10KHz square wave performance between the two on scopes.